Accordingly there were several fat weddings this year in India Deepika-Ranveer, Priyanka-Nick Jonas, Sonam Kapoor-Anand Ahuja. Presently one of the most talked about and undoubtedly the one which takes the cake is that of Isha Ambani and Anand Piramal. Meanwhile she is the only daughter of business tycoon and India’s richest man Mukesh Ambani. 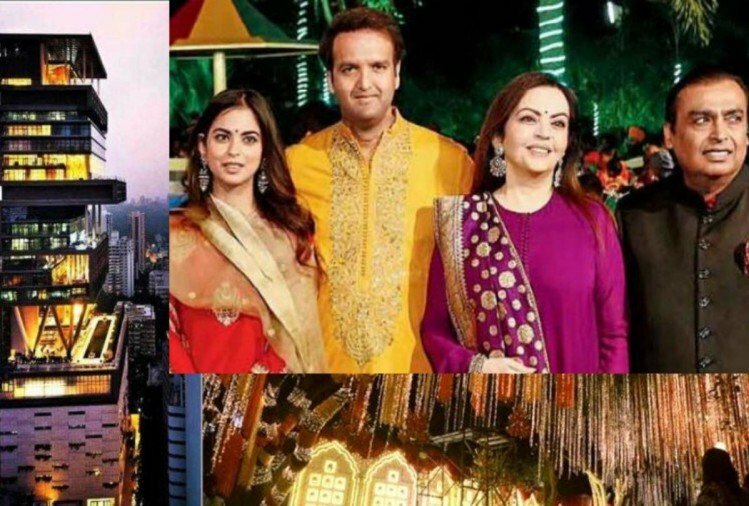 Isha Ambani and Anand Piramal tied the knot in a lavish but traditional ceremony at the Ambani resident Antilia in Mumbai. Furthermore reports doing the rounds suggest that Bollywood biggies who shook a leg at the wedding will be paid a whopping amount. Meanwhile each superstar who danced at the sangeet was paid a hefty price for making their presence felt at the celebrations. Reportedly Mukesh Ambani is the richest man not only in India but he’s among the Richie rich of the world too. Don't take us wrong, if we said Isha Ambani wedding cost could be a lifetime earning for some of you. Moreover it is being speculated that the Ambanis spent a whopping $100 crores on their daughter’s marriage. According to report the entire wedding cost is said to be around Rs 110 Crores which is still big amount for wedding. Hence it seems like a fancy price for the general masses but let us tell you this is merely an estimate. Reports added that Mukesh Ambani is all set to throw a grand reception on Friday at Jio Gardens, Mumbai and Bollywood celebrities, sports personalities, and industrialists are expected to mark their attendance.